I’ve been to dozens of games in my three years at this school, and last night’s Harvard-Yale basketball game was different. Hands down, the most energetic, passionate student section in a long, long time. You could feel it right away. Yale started the game disjointed, flat-footed, and sloppy. Arriving at Lavietes only an hour until tip-off due to Boston traffic (of course) and in front of numerous NBA scouts and executives, the Bulldogs fell behind 7-14 and never seemed to stand a chance against the Crimson. This did not look like a team that was on an eight-game tear. 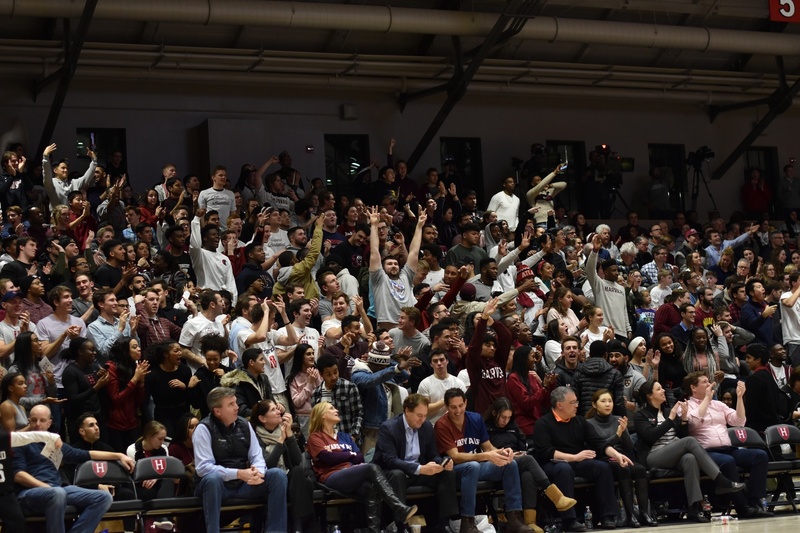 But beyond what was developing on the court, it was evident the student section was unlike that of recent memory — when largely sparse, sedentary friend groups would come out across the river and show a bit of love (while doing homework at halftime. Yes, I’m serious). The fervor and passion that was exuded last night did not go unignored by the home team. It was so loud at some points in the contest that coach Tommy Amaker had to temper down, rather than invigorate, his side. As the Crimson marches on in its Ancient Eight slate now having downed the hottest team in the league, the excitement and thrill of an uber-competitive Ivy League should only continue. It was certainly an incredible scene to witness last night at Lavietes, but will it persist? Only the Crimson Crazies can answer that question.